It's pretty cool when you know that petrolheads but also supercar owners keep an eye on your channel. This video has been sent by a follower and owner of a 813whp Ford GT, or we should call it a badass american barbecue which sounds utterly insane while shooting giant flames! 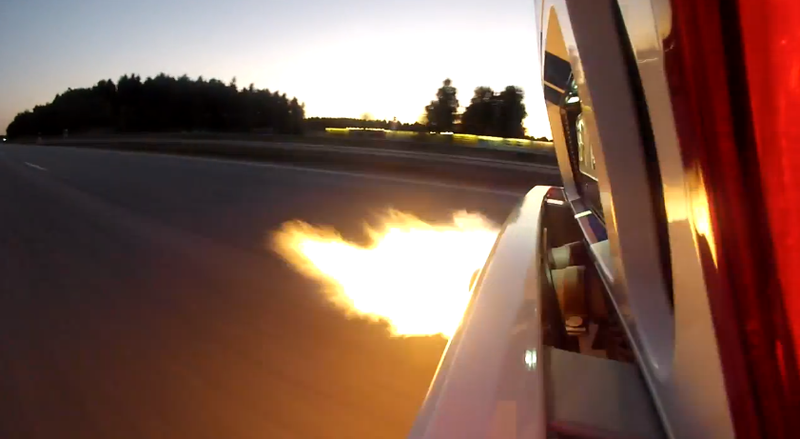 The camera is placed behind the exhaust so we can clearly see the exhaust getting hot to such an extent to spit giant flames as the car reaches 345kph!